Stalker in gas mask from «Duty» fraction. 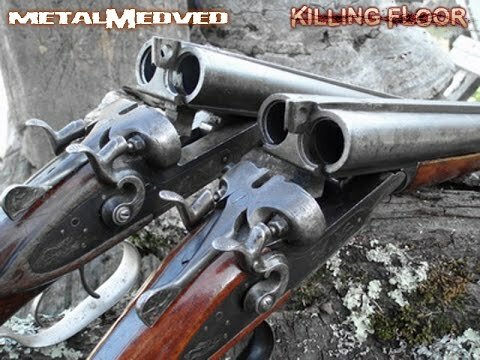 Double sawed-off shotguns from S.T.A.L.K.E.R. You may shoot with one or double barrels. Zeds turning into bloody mess The idea of this weapon creation appeared last autumn but I’ve just done it for technical reasons. This is my first animation experience in animation (reload). It’s not bad and I’ll make more weapon with original and more complicated animation in future. 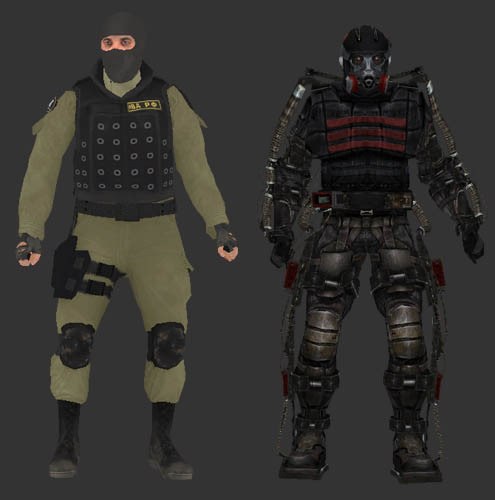 Stalker in «Duty» exoskeleton and counter terrorist from CSS splash screen now available for Killing Floor.